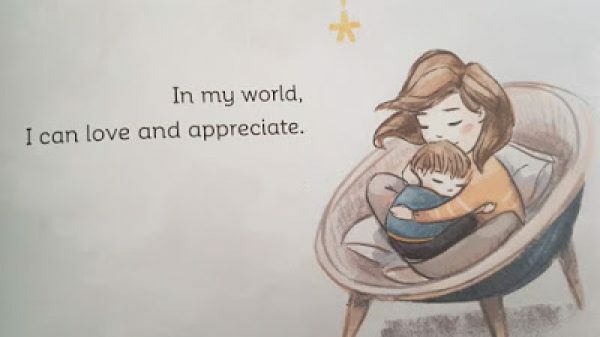 In My World is children’s picture book that carries a very touching message for adult readers. 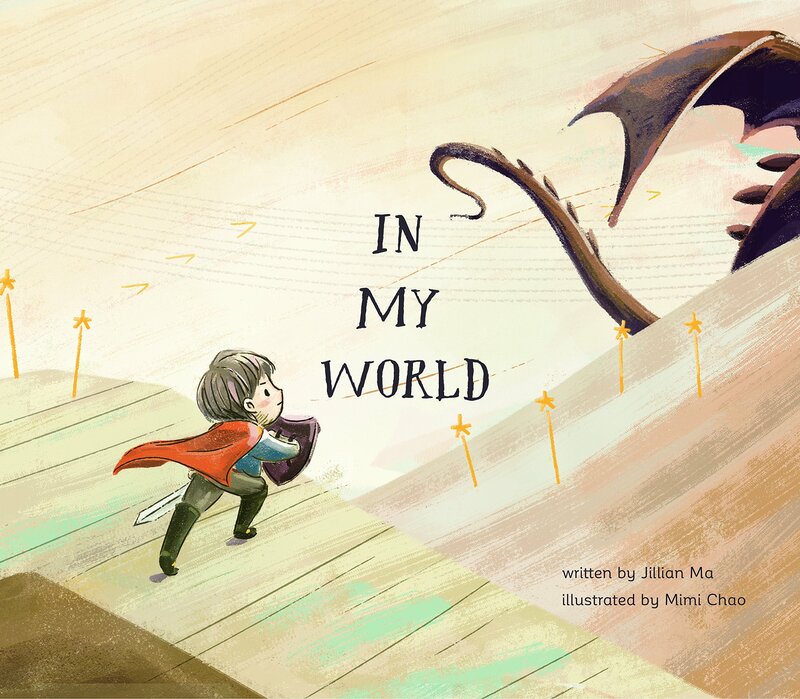 Each page contains only a single sentence and a beautiful illustration and it’s easy reading for the early readers. The words are simple and they rhyme, which makes this a perfect storybook. 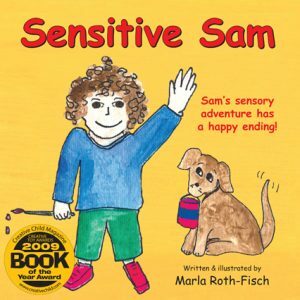 A simple, heartfelt story that follows the life of a child with autism through his imaginative journey as he seeks to be accepted, loved, and celebrated for his strengths and abilities. 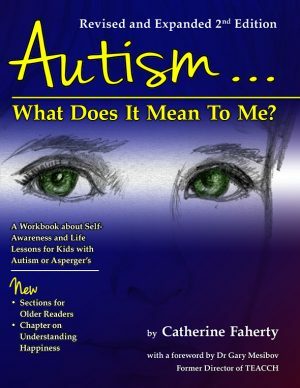 Despite the qualities that make children on the autism spectrum exceptional, they all have hopes, dreams, and desires of belonging that all children feel. 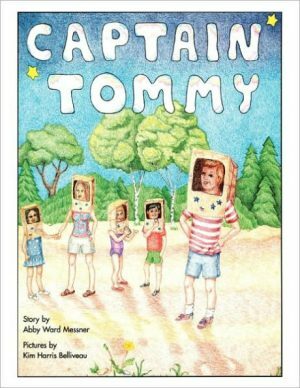 This book is a powerful reminder that with a little help from each of us, children with autism can fulfill their dreams. The general format of the book is that there’s a little boy who keeps saying “In my world, I can ….” and following this up with claims which at first seem a little outrageous, particularly if you take the fantasy elements (dinosaurs and dragons) of the illustrations into account. 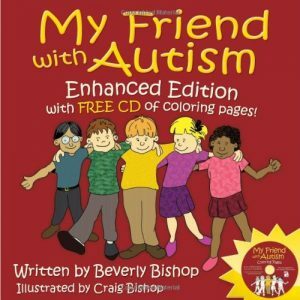 The text however is well grounded so that ,even when the picture shows the boy with his friend riding a dinosaur, the text simply says that he can “adventure with his friend”. It’s all very achievable and clever stuff….or is it? Most of us take these things for granted, playing with friends, being seen and heard, riding in a plane, using the swings at the park, sharing food, toys and interests, being calm and being appreciative of love.